As you probably already know Hawaii is a major tourist destination attracting millions of tourists from around the world every year. The four most visited islands of Oahu, Maui, Kauai and the Big Island each have busy resort areas where visitors can enjoy a wide variety of activities and things to do. But if you’re looking to avoid the hustle and bustle of these resort areas you will also find a good selection of off-the-beaten-path destinations in Hawaii. The two islands of Molokai and Lanai are the least visited Hawaiian islands and therefore are the most remote in terms of peace and quiet. If you’re on a budget, Molokai is significantly more affordable than the privately-owned island of Lanai. 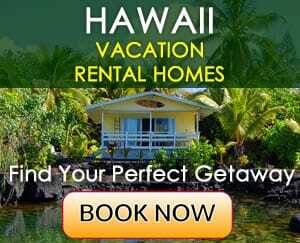 On Molokai, you will find a good selection of affordable vacation rentals in Kaluakoi on the island’s western end as well as around Kaunakakai and Honouliwai and Kainalu on the island’s eastern end. The island of Lanai is home of two five-star luxury resorts – the Four Seasons Resort Lanai at Manele Bay featuring panoramic views of the Pacific and the beautiful white sands of Hulopoe Bay, and the Four Seasons Lodge at Koele, located in the middle of the island and surrounded by pine trees and lush valleys. Both resorts are ideal for a luxurious and tranquil vacation. Many visitors come here to play golf at the two world-class golf courses that are operated by the two resorts. If you stay here you don’t need to rent a car. There is a resort shuttle that runs between the Manele Bay Resort, Lanai City and The Lodge at Koele. If you are headed to the Big Island of Hawaii you will find remote destinations all over the island (this island has plenty of room and everything is more spread out compared to the other islands). The most remote and affordable area on the Big Island is Ocean View. It is a small town located in the southern part of the island. The area is really very rural and most of the people who choose to live here are self-sufficient. There are only a few vacation rentals here so if you are planning the ultimate remote vacation on the Big Island you may want to consider Ocean View. A second option is the area around Kapoho in the Puna District, which is also remote, but within easy reach of some shops and restaurants in Pahoa. The islands of Oahu, Kauai and Maui are popular vacation destinations so you will not find many remote destinations there. But if you have made your mind to visit one of them here are some insights for each island. Maui’s most preferred off-the-beaten-path destination is Hana, located on the east side of the island. Here you will find a luxurious resort and a few vacation homes. Other laid-back destinations on Maui are Haiku, Makawao and Kula located in upcountry Maui. If you are planning a quiet vacation on Kauai, you will find some vacation homes along the north and east shores of the island around Anahola, Wainiha and Haena. The island of Oahu is the busiest of all Hawaiian islands, but you can still find some vacation rentals along the windward coast, north shore and west shore of island offering privacy and tranquility. Oahu is perhaps the only Hawaiian island that offers such a diversity of beaches – swimming, snorkeling, surfing, boadybodring, diving, etc. So if you are visiting with your children you will also find some excellent family-friendly beaches here. This half-mile long beach is located between Waikiki and downtown Honolulu and is the perfect place to spend a day with your family. The nearshore water here is calm because the beach is protected by a reef. The best area for swimming is the eastern part of the beach, where the ocean bottom is sandy. This area is also a popular gathering spot and you will see many local families barbecuing and playing games in the weekend. There are a few shady spots under the trees along the beach and many more on the nearby Magic Island peninsula. Because of its central location Ala Moana Beach is very close to stores and restaurants. If you get hungry you can hop over to Ala Moana Center’s food court, located across the beach. Hanauma Bay is one of the most popular snorkeling destinations in Hawaii where the water is very clear and protected by a large reef, which makes it an ideal family beach. This is actually not a beach park, but a nature preserve. All visitors have to pay an admission fee and then watch a short educational video about the bay’s geology and diverse marine life. At the beach you can rent snorkeling equipment in case you didn’t bring your own. It is a good idea to bring an underwater camera because the fish are not shy and are easy to photograph. Even though there isn’t much shade on the beach, there is a large park with trees and picnic tables at the entrance where you can have a picnic before or after spending time on the beach. At the entrance you’ll also find a take-out restaurant. Behind it a paved trail leads to a nice lookout point from where you can enjoy nice views of the bay and the sparkling blue ocean. It’s the perfect backdrop for a memorable family photo. On a very clear day you can even see the neighbor islands of Molokai and Lanai from here. The Duke Kahanamoku Lagoon was named the No. 2 best beach in America in 2012 by Dr. Beach. This picturesque man-made lagoon located on Waikiki Beach near the Hilton Hawaiian Village is a popular gathering spot. You will see many families with children playing or paddling in the water. The lagoon is surrounded by fine white sand and palm trees providing a few shady spots. You can also rent beach chairs and umbrellas from the Waikiki Beach Activities stand located near the lagoon. If your children want some ice cream or pizza you won’t have to go far to get it. There are a few eateries right behind the lagoon and several bars and restaurants are at the Hilton Hawaiian Village. The Ko Olina Lagoons consist of four man-made sandy coves backed by beautifully landscaped grounds and a few world-class luxury vacation resorts. The lagoons are protected and are ideal for small children or novice simmers and snorkelers. One thing you should keep in mind though is that there is a limited public parking here. If you don’t stay at one of these fancy hotels, it is best is to come early in the morning or on a weekday when there is a better chance of finding a parking spot. Giving and wearing a flower lei (a garland strung from fresh blossoms that is worn like a necklace) is a common and popular tradition in Hawaii. If you have been to Hawaii before you have probably seen quite a few people wearing one and maybe you even wore one yourself. In Hawaii, leis are usually given to loved ones for special occasions, such as birthdays, graduations, achievements, funerals or to welcome someone or say goodbye. These colorful garlands are made of flower blossoms strung together. Flowers that are used for lei-making include for example plumeria, orchid, pikake or maile leaves. They can also include kukui nuts or shells, such as the rare Ni’ihau shells. When the Hawaii tourism industry kicked off in the late 1800s and steamships brought the first visitors to the Islands, these visitors were often greeted with a fragrant flower lei. At the end of their stay, they were often again given a lei as a goodbye. During this time new legends around the lei sprung up, for example that it would bring you good luck. It was also believed that if you threw the lei overboard after leaving the island and the lei floated back towards the beach it meant that you would return to the island some day. Whenever a steamship left with visitors aboard, many leis were seen floating on the ocean. As the tourism industry picked up in the 1960s and 1970s and most visitors were now arriving by plane, it became much harder to greet every tourist as the numbers went from just hundreds to thousands and then millions. However, this sweet tradition of welcoming people to Hawaii with a lei continues until today. Many travel companies incorporate an airport flower lei welcome into their vacation packages. Being greeted and welcomed to the Islands with a fresh and sweet-smelling lei is a nice way to start your vacation. Even if your vacation package doesn’t include an airport lei greeting or you booked your flight and accommodation separately, it is easy to add a lei greeting before arriving in Hawaii. Below you will find useful resources. If you are planning a vacation on Molokai you are likely looking to escape from the hustle and bustle of the typical tourist destinations. Here you won’t find shopping malls, night clubs and other types of entertainment. Instead you will find a place that offers peace and tranquility providing the ideal conditions for relaxation and rejuvenation. But you also don’t have to worry about feeling bored on this island. There are quite a few things to do here, most of them out in nature. Molokai’s Kalaupapa Peninsula for example is one of the most scenic places on the island. Located at the base of the world’s highest sea cliffs, the Kalaupapa Peninsula was once a leprosy settlement where people who had this disease were forced to live in exile. The peninsula is very difficult to access and can only be done if you join a guided tour. A steep trail leads down to it and you can either walk down or ride a mule. There is a local company that offers mule riding tours to the peninsula. Alternatively, you can see the peninsula from the Kalaupapa Lookout, located within the Pala’au State Park. The drive to the lookout is very scenic and reveals amazing panoramic views of Molokai’s south shore and the neighbor island of Lanai. Shortly before you reach the lookout the road leads through a forest where you will find a couple of small roadside parks with picnic tables. Pala’au State Park has several hiking trails and the most popular one leads to the Phallic Rock, also known as the Fertility Rock (you will know why when you see its shape). If you love coffee, you will be happy to hear that one of the largest coffee plantations in Hawaii is located on Molokai. Coffees of Molokai in Kualapu’u has a gift shop and café that sells a variety of coffees, sandwiches, pastries and shakes. While you are still in the mood of trying local food products, hop over to Purdy’s Natural Macadamia Nut Farm, located less than 2 miles away from here. Purdy will let you crack some macadamia nuts and you can try them with a slice of coconut or Hawaiian honey. At his farm you can see how the nuts are grown and harvested. While you’re on Molokai you’ll surely also want to visit Kaunakakai, the largest town on the island where you can stock up on groceries and supplies. While in town take a walk along Ala Malama Street where you will find a few gift shops, a pizza café and a public library. Two other nearby attractions are Kaunakakai Wharf, the longest wharf in the state of Hawaii, and Kapuaiwa Coconut Grove, a large picturesque palm tree grove next to the ocean. If you like narrow and winding roads, take Highway 450 east to Halawa Valley on the island’s east shore. The “highway” which turns into a narrow one-lane road for the last 9 miles of the way, features beautiful views of the ocean, lush valleys, waterfalls and tropical vegetation. If you prefer an easier drive on a wider road head west on Maunaloa Highway (Hwy 460), which leads through Molokai’s central plateau to the upcountry town of Maunaloa. You will find many scenic lookouts along the way boasting spectacular views of Molokai’s south and west shore, scenic hills and valleys, tall mountains and open grasslands. When you have done all the things above and you just want to sit back, relax, read a book, or just be alone with your loved one, visit one of Molokai’s west shore beaches, which are the finest on the island. Even though swimming here is not recommended due to strong currents, these beaches are great for a quiet day on the beach. Two-mile long Papohaku Beach for example is ideal for a long beach stroll. Or you can enjoy a picnic here. The spacious beach park is equipped with picnic tables. Renting a car on Oahu or not? Are you debating if you should rent a car on Oahu or not? Here is our take on this. Renting a car on Oahu is certainly a good idea if you plan to do a lot of exploring. You will be independent to go wherever you want to and stay as long as you want to vs. guided tours or city buses that run on a schedule. Recently The Bus (the local public bus) schedule was changed and quite a few bus routes were either eliminated or buses run less frequent. You can bring more items with you while traveling – camera, pack your own food, beach chair or umbrella, etc. It is especially convenient if you travel with small children. Other people will not sit next to you so you will have more privacy. Also, if you take the bus you may not even get a seat if it’s crowded. Car rental companies on Oahu provide brochures including maps giving you an idea of all points of interest. You can also rent an additional GPS system. You can choose the type of car you want to rent. If you plan to stay mainly in the Waikiki area you don’t need to rent a car. Waikiki has it all – restaurants, beaches, shops and a variety of outdoor and evening entertainment. Also, most of the hotels charge extra if you have a rental car. The small island of Oahu has almost a million residents, so the island’s streets are pretty busy. There is usually a lot of traffic in and out of Honolulu and Waikiki. Public parking is another issue. Finding a parking spot at popular beach parks such as Waikiki Beach, Waimea Bay and Sunset Beach can be challenging. These places are usually full even on days when there are no major events going on. You will find paid parking options, especially in Waikiki and Honolulu but it is costly. There is always the risk of car break-ins, occurring especially at beach parks so don’t be surprised if you see smashed window glass in parking lots. Don’t leave any valuables inside the car. If you carry any packages or bags with food or less valuable items, best is to lock them in the trunk. If you are not familiar with the island you need to spend much more attention on the road, where to turn, where not to turn, etc. That’s why many first-time visitors prefer guided tours, so they won’t have to worry about driving. Booking a Hawaiian vacation rental has become a very popular option for Hawaii travelers. There are many vacation rentals on the islands offering hotel-like amenities and all the comforts of home. One of the main reasons why many visitors prefer to book a vacation rental instead of a hotel room is because you know what you are getting. If you stay in a hotel you often don’t know what exact room you are getting, what condition it is in, what view it has, etc. Another advantage of a vacation rental is that you can read reviews of previous visitors to that particular home/condo and get a good idea of what to expect. Now when you know the advantages of a vacation rental vs. a hotel room, the question of where do we go arises. There are so many vacation rentals in Hawaii that it can be very overwhelming to choose the right one. 1) Do you plan an active vacation? 2) What kind of activities do you plan on doing? 3) Do you want to learn about the Hawaiian culture and the islands? 4) Do you just want to relax and rejuvenate in a tropical setting? The answers of these questions will help you decide what island is most suitable for you. 1) Do you want to stay in a condo or in a house? 2) What kind of view do you want – ocean, mountain, both? The answers of these questions will give you a good idea of what to look for. On March 1, 2013, the City and County of Honolulu introduced camping fees to camp at one of the 17 city campgrounds on Oahu (see list of parks below). In the past, camping at city campgrounds was free. Now you will have to pay for a minimum of 3 nights, which will cost $32. This fee is applicable for all 3-day campgrounds. If you plan to stay at a 5-day campground, the fee is $52. This fee is per campsite, which has room for up to 10 people. You can reserve a campsite at the City and County of Honolulu website camping.honolulu.gov up to 2 weeks in advance. Mayor Kirk Caldwell said the introduction of camping fees will make the sites available for more people since in the past it was often times the same people who used to reserve a campsite over and over and if they now have to pay a fee, they may not want to reserve it as often. So others will get a chance to camp there as well. With the new fees, the city plans to use the revenue to better maintain and upgrade the camping facilities. Camping always begins on Friday starting at 5 pm and extends through the weekend ending on either Monday at 8 am (3 days) or Wednesday at 8 am (5 days). Keep in mind that campfires and bonfires are illegal on all public beaches and parks in Hawaii. For cooking you may only use above-ground barbecue grills, but they have to be at least 12 inches off the ground. The use of propane grills and generators (for electricity) is also not allowed. Pets are not allowed either. If you are planning to camp during a holiday weekend, it is a good idea to make your reservation as soon as possible because campsites get reserved within hours. And one final note: Camping at Waimanalo Bay Beach Park has been suspended as of March 1, 2013, due to construction. The campsite will open when the area is deemed safe. Hawaii is sunny and warm year round, so whenever you decide to visit the islands, it is considered to be a good time. However, even warm year round, the weather here varies a bit during the seasons. Hawaii is generally very humid and humidity could be feel most during the month of October, right before the winter starts, so if you don’t like humidity, that’s not the time to plan a Hawaii vacation. The summer months May to August are usually busy on the islands. That’s the time when many tourists plan their Hawaii vacation. The most busy of all gets the island of Oahu and especially Waikiki. One evening in August while I was in Waikiki, I wanted to buy a bottle of water from an ABC store and I was shocked to see the store was entirely packed with people and I even was not able to get it. So if you would like to enjoy a Hawaii vacation in Waikiki between May and August be prepared to see many tourists. Often times you may also need to wait from 20 to 60 minutes to get sited in restaurant. The other islands of Maui, Kauai and the Big Island are overall not so busy, so you may want to consider them for your summer vacation. Christmas time also gets pretty busy in Hawaii. Also flights to the islands are more expensive around the holidays. June to November is the hurricane season in Hawaii. If you plan vacation during that time, don’t let this scare you off. Hurricanes hardly ever occur in Hawaii. And even if one hits Hawaii, the state is prepared to accommodate visitors and citizens. Personally I would recommend February to April as a best time to visit. That’s the end of the winter in Hawaii and you can enjoy nice sunny weather and less humidity.